I've seen people worry that the shades may be boring nudes with a pretty rainbow packaging because how of Tarte played us with their Be a Mermaid & Make Waves Eyeshadow Palette. Urghhh the palette had so much more potential! Anyway back to Jeffree, she came through slaying with each colour of the rainbow. 💛 - Queen Bee. *Jeffree mentioned in her story, Queen Bee was an limited edition shade from the Summer 2017 Collection and it has been reformulated so that it's less patchy and slightly thicker than the first launch. 💚 - Equality. *Brand new shade! The Equality set bundle is available June 1st on the Jeffree Star Cosmetics website and retails for $52, same as the rest of the bundles. A portion of the proceeds will be donated to the Los Angeles LGBT+ centre to help LGBTQ+ youth in need. 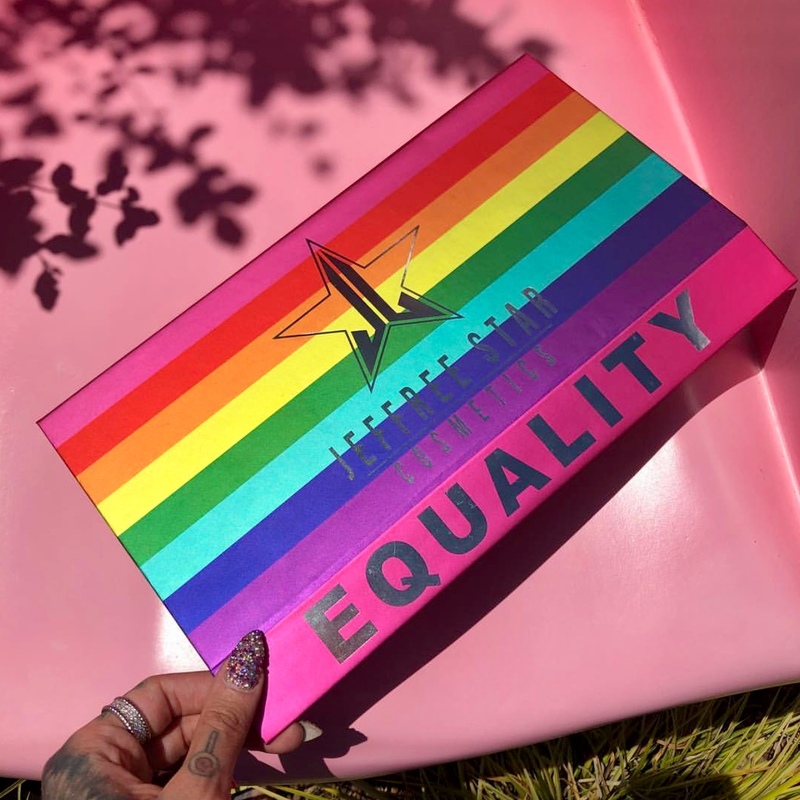 I though collaborating with the LGBTQ+ Centre was such a sweet idea as it helps towards a cause and it's something that Jeffree is passionate about raising awareness for. Now time for some swatches! The Jeffree Star Summer 2018 Collection will also be revealed soon! So far, we know the collection includes the Thirsty Eyeshadow Palette, Liquid Frost Highlighters and 8 brand new shades of velour liquid lipsticks.